When you talk to any street food lover of Delhi, an area which gets repeatedly mentioned is Jama Masjid. A heaven for non-vegetarians, the place has more than a hundred street food stalls. I had been to the redoubtable Karims during my earlier trips. However this time we wished to try out the smaller joints. With inputs from foodie friends such as blogger Chowder Singh, we started our food journey. Our first stop was at Urdu Bazar. Enter the Matia Mahal lane past Karims and Al Jawahar and soon you are at Bilal Hotel. 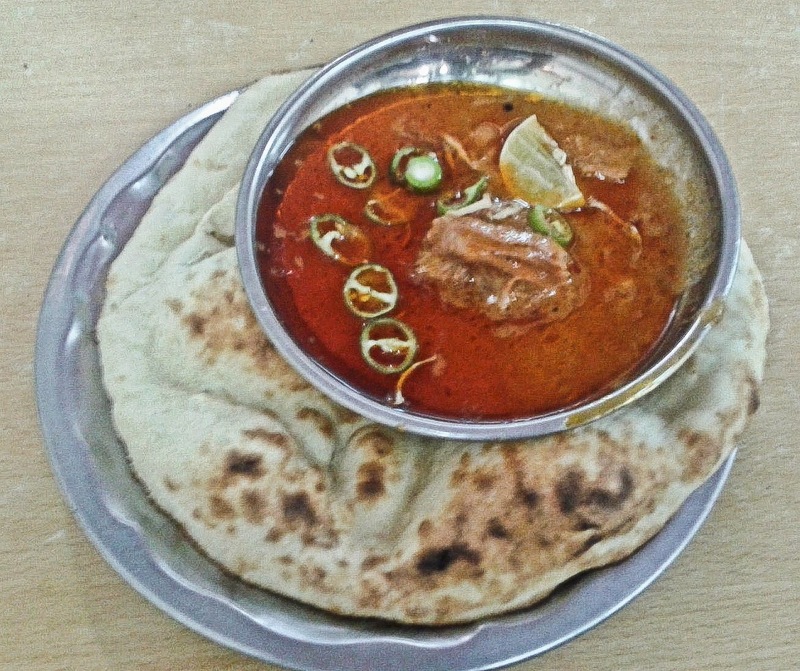 It is one of the best places for the famous Delhi Nihari, the meat dish which is slow cooked for hours. 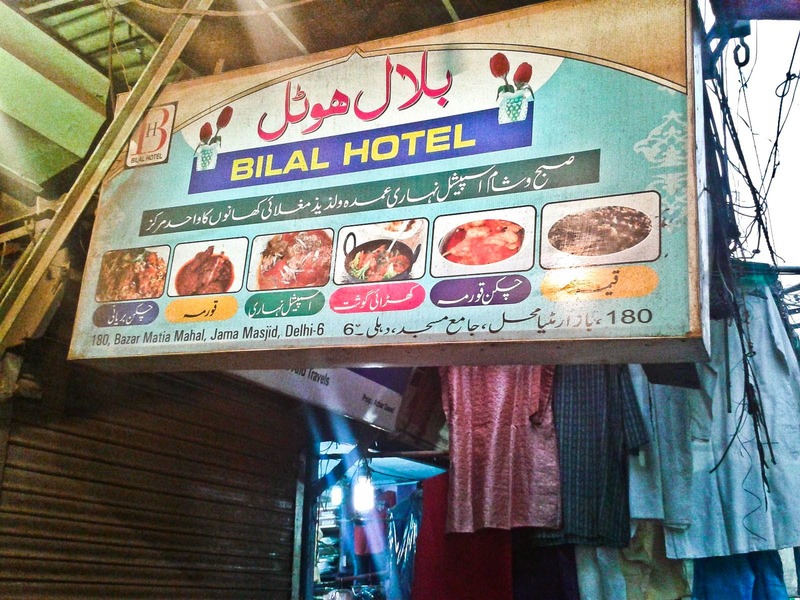 In Bilal a plate of Beef Nihari costs you Rs 40. The stew is served with a large piece of boneless meat and is garnished with a piece of lemon and rounds of green chili. The meat is extremely tender and the gravy is quite spicy. It tasted divine with the soft tandoori rotis. 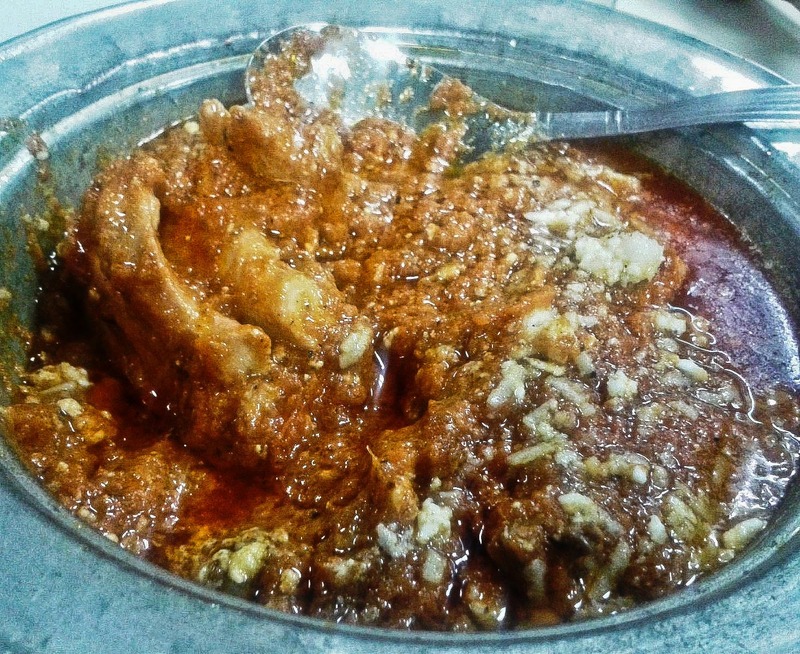 During our discussions, I have been told the Haji Noora and Kallu’s which are a few blocks away serve as good nihari too. 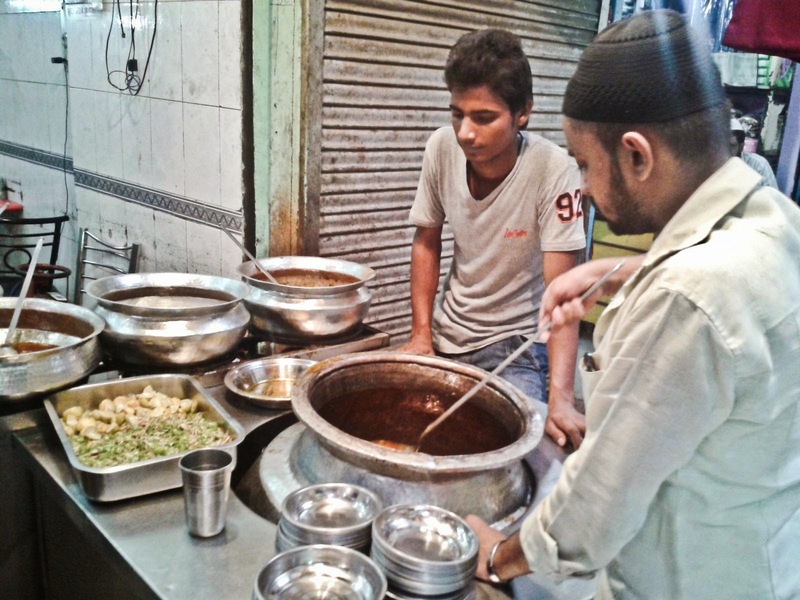 A friend had suggested that I visit the bylanes of Nizamuddin but we were completely satisfied by what we had in Bilal. A few shops away on the same road is Aslam Chicken Centre, with a huge signage on top, so that it is not difficult to locate. Aslam serves Butter Cream Chicken. Chicken pieces are put on skewers and prepared on a coal grill. It is then dipped and served on a bed of cream and butter based sauce. As they bring the dish to you, the aroma of butter overpowers you and the succulent pieces are polished off in no time. A huge crowd had already gathered there at 7 pm and the staff literally runs around fulfilling the orders. A small plate of eight pieces costs a paltry Rs 60. 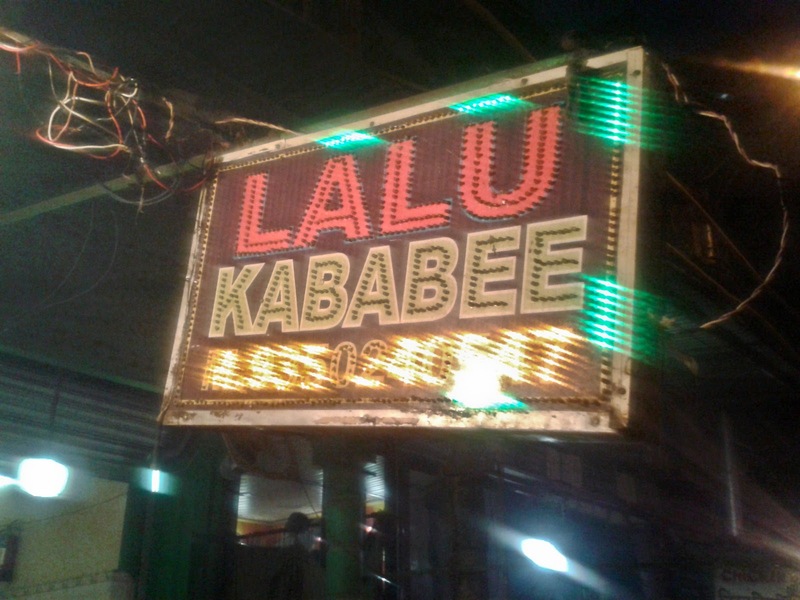 I got talking to the person at the counter, and after hearing that we were sampling various small establishments here, he redirected me to Lalu Kababi at Urdu Bazar. As you turn into Urdu Bazar from Matia Mahal, you are virtually in kabab land. 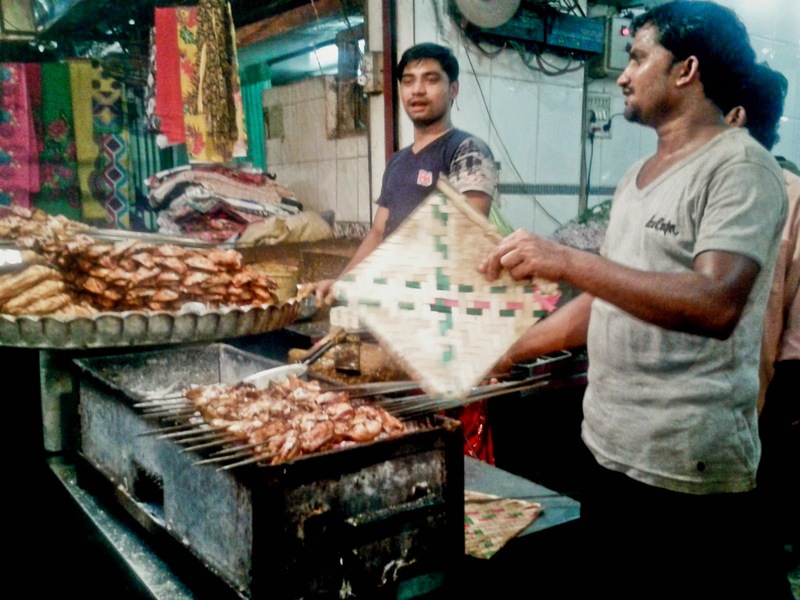 At least 10 to 15 vendors sell their versions of kebabs on the street – boti, seekh, shammi and chicken. 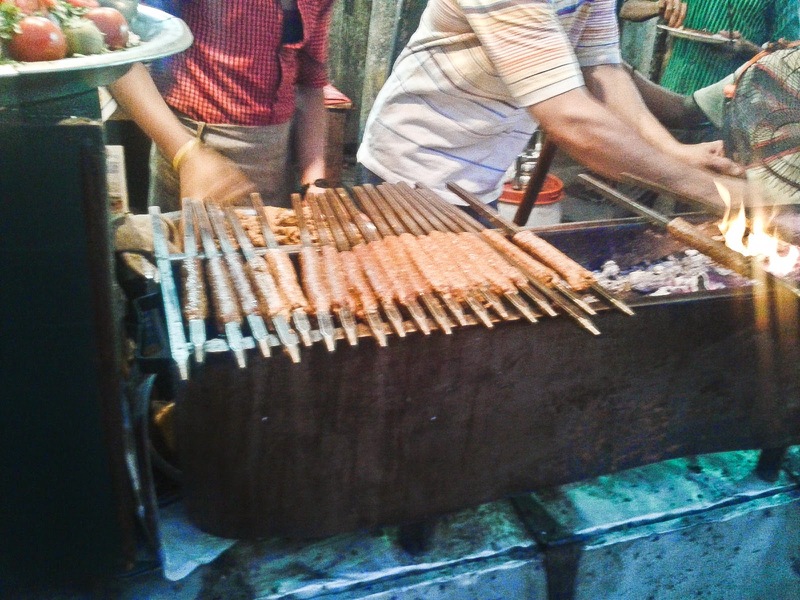 Lalu Kababi is a small kiosk on the street where seekh and boti kebabs are being prepared on charcoal fire. 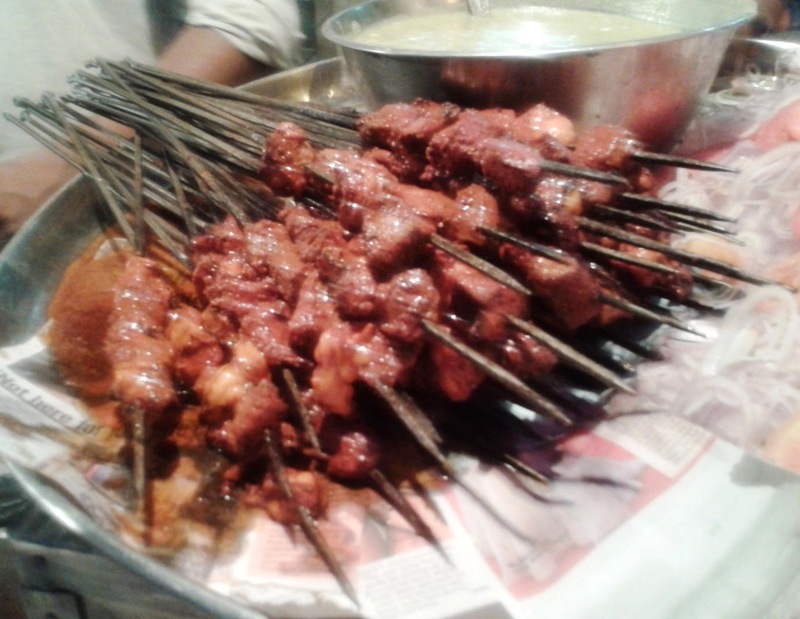 A plate of Boti Kebab (Rs 40) has four skewers of 5 pieces each. There is no place to sit, and a crowd is devouring kababs on the street itself. 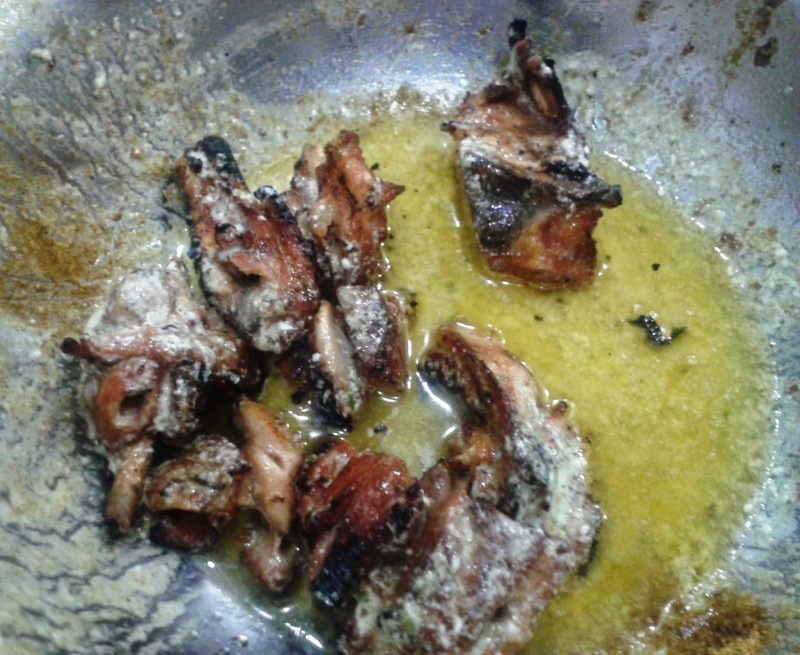 I was slightly disappointed with the quality though – the kababs were not soft enough and slightly burnt too. Our next stop was down the same road - Seekh Kababs at Qureshi Kabab Corner. 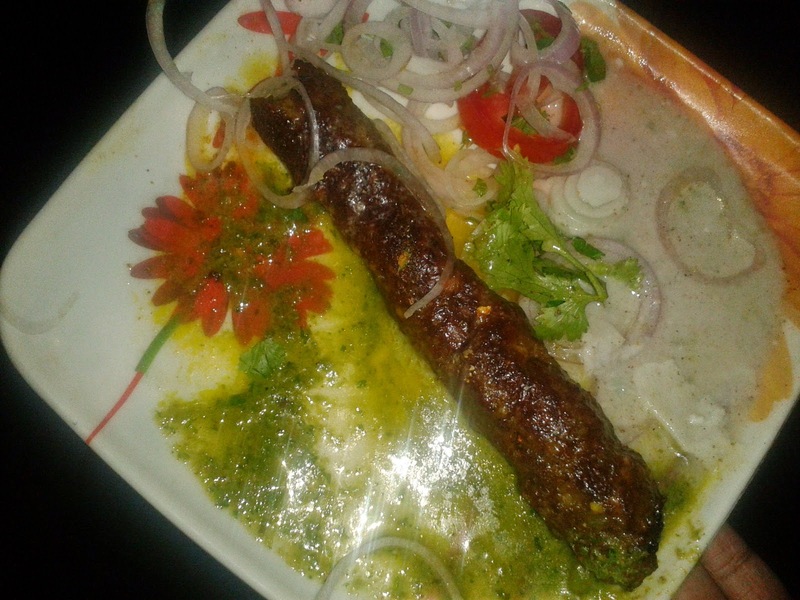 One Buffalo Seekh Kabab served with onions, a green chutney and a white chutney costs Rs 15. The buffalo mince was grilled to perfection and the kabab was extremely soft and delicious. 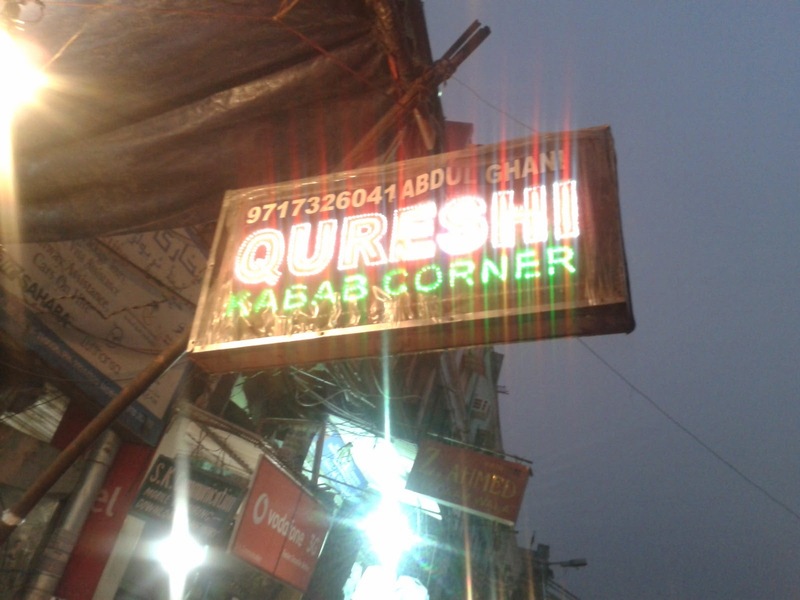 Qureshi specializes in seekh kababs, claiming to be the best on the street. However the kababs on display in the neighboring shops looked just as inviting. Our final stop after all these starters was for dinner at Al Jawahar as planned. But sadly, both of us were quite full by that time. We wanted to order multiple items but settled for Butter Chicken with tandoori rotis. The Butter Chicken was quite different from regular Delhi fare with a thick onion based gravy and butter sprinkled on top. It was a good finale to our sojourn and as we enjoyed a rickshaw ride to Chawri Bazar Metro station, both of us were satiated and content. As per my estimate it will need at least three visits to Jama Masjid area to savour all the delicacies there. Few of the places on my list which we could not visit were Anmol Chicken Centre on Urdu Bazar, BabuBhaiKabab Wale in MatiaMahal, and the niharis from Kallu and Haji Sharbati in Daryaganj. A good enough reason to plan another Delhi trip pretty soon. Location: Urdu Bazar Road is the lane running along Jama Masjid near gate number 1. 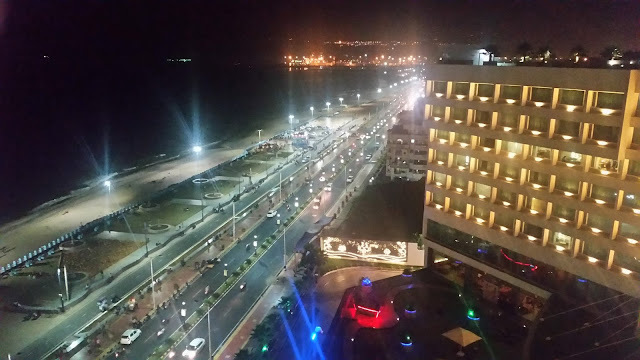 The Matia Mahal lane originates perpendicular to the Urdu Bazar Road around the same gate. To reach this place on metro, get down at Chawri Bazar Metro Station, and proceed by walk or rickshaw. It is about half a kilometer from the Metro Station. Tell the rickshaw guy you want to go to Karims. That is the location where Matia Mahal lane starts.